It was another good day for the index, with Nifty opening around 5840 and making a dash towards 5860. A dip towards 5830 was promptly bought into and from there onwards it was one way ride to the high of the day around 5885. The index closed at 5879.85 a good gain of 54.85 points and on a week on week basis the index was up 4.5% the best in last 5 months. The broader market was also positive with 940 advances to 586 declines. 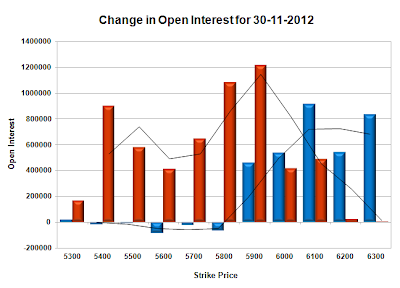 The OI Table looks Bullish with PCR above 1.37 and huge support coming up around 570PE level. Call option 5900-6300 added 32.73 lacs huge amount of OI with some short covering seen at 5800 and below strike prices. Put Option 6100-5300 added 59.01 lacs huge amount of OI with not much change in other strike prices. 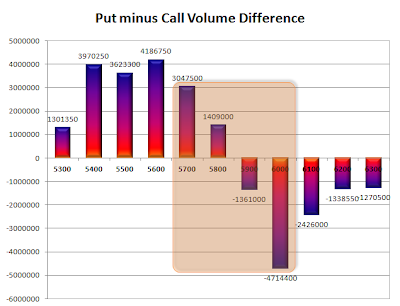 Highest accumulation on Call option 6000 at 65.7 lacs & 5900 at 45.7 lacs whereas Put option 5700 at 54.1 lacs & 5600 at 53.2 lacs. 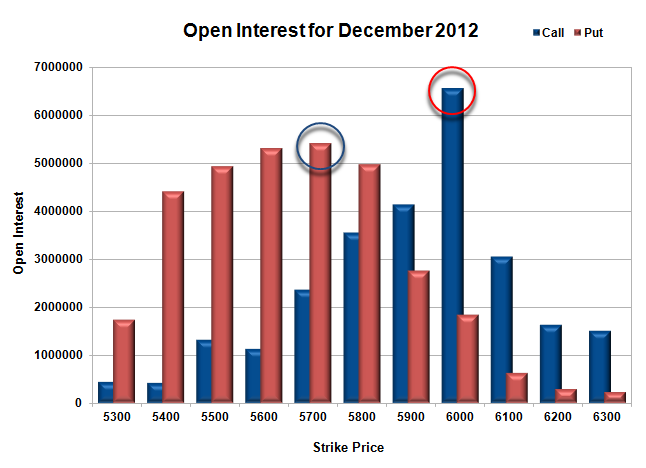 Nifty Open Interest is at 1,94,04,700 up by huge 15,18,550, with huge increase in price, most probably long build-up. 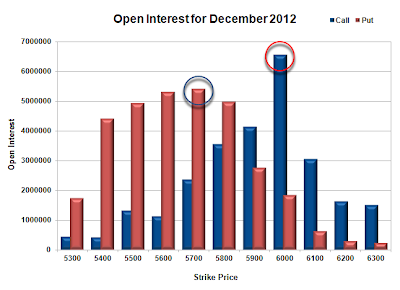 Bank Nifty Open Interest is at 14,26,875 up by huge 1,57,550, with huge increase in price, most probably long build-up. FII’s bought huge 11.81 lacs of Futures, most probably long build-up as their OI also increased by 40536 contracts, and the average price per contract comes to around 5843. FII’s future open contract as on date is 372031. PCR Open Interest (Volume) is moving up and now at 1.371. Initial support has now moved up to 5800, with huge addition for the day at 10.8 lacs and below that at 5700 with highest OI of 54.1 lacs. Resistance right now at 5900 but looks vulnerable, and above that at 6000 with highest OI in Option Table at 65.7 lacs. Range as per Option Table is 5823 -5913 and as per VIX is 5833 - 5926 with 5860 as the Pivot.